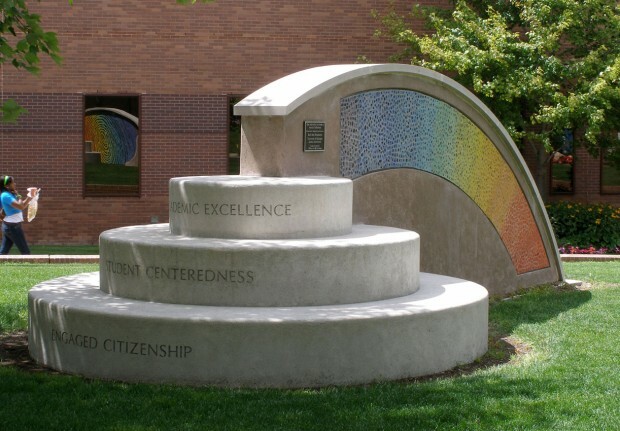 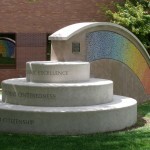 In 2005 the Alumni Association of University of Michigan commissioned myself and fellow artist Marcy Yurk to design and build a landmark on the campus to commemorate the fiftieth anniversary of the University of Michigan-Flint. 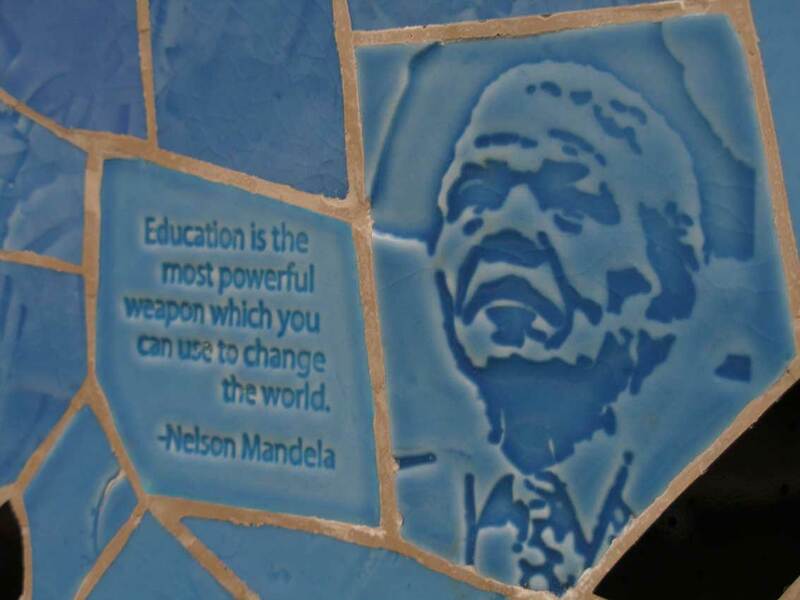 The Ruth Mott Foundation was then approached to assist with funding, and to suggest ways to involve the community. 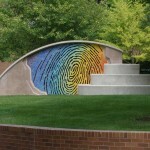 The final concept, shown here, contains a mosaic of a large fingerprint, symbolizing the mark that every individual leaves behind, indistinguishable by race, gender, or beliefs. 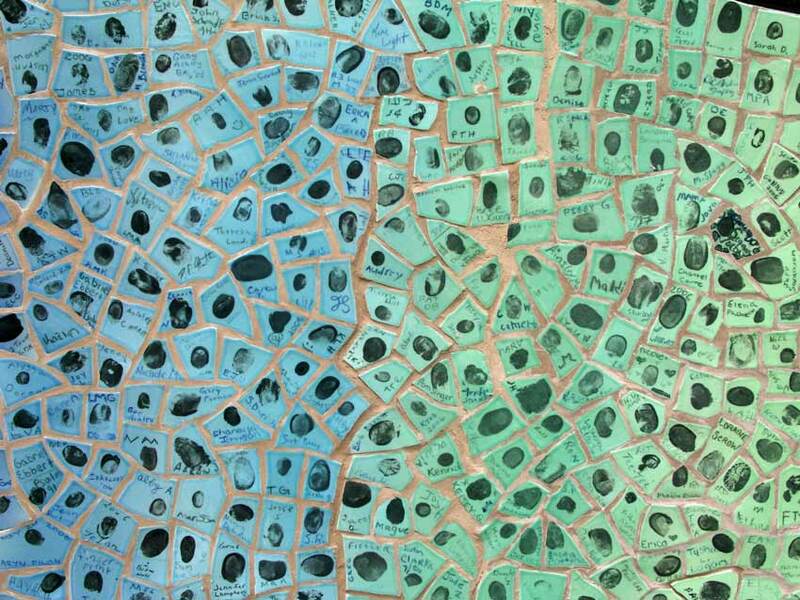 Within the whorls of this fingerprint, are 73 civic icons; individuals who have left their “print” on civilization in a positive way. 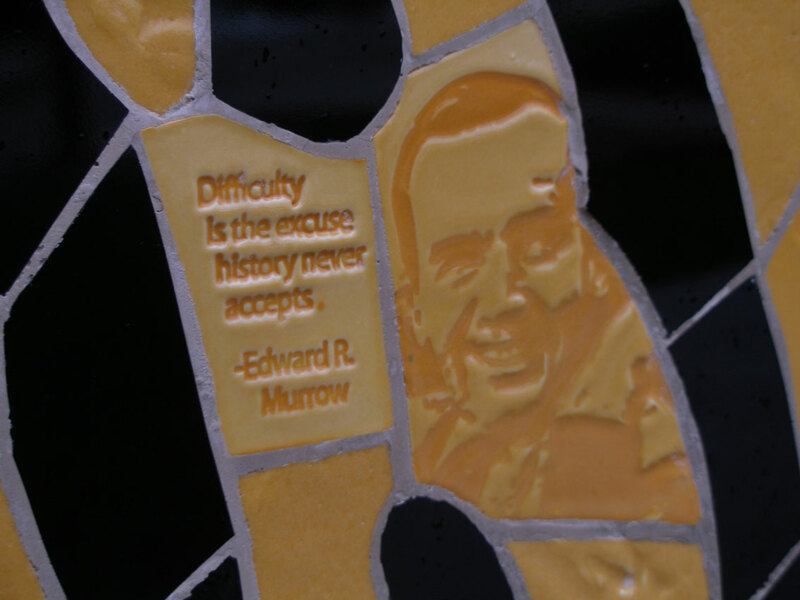 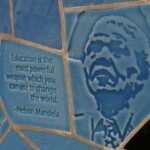 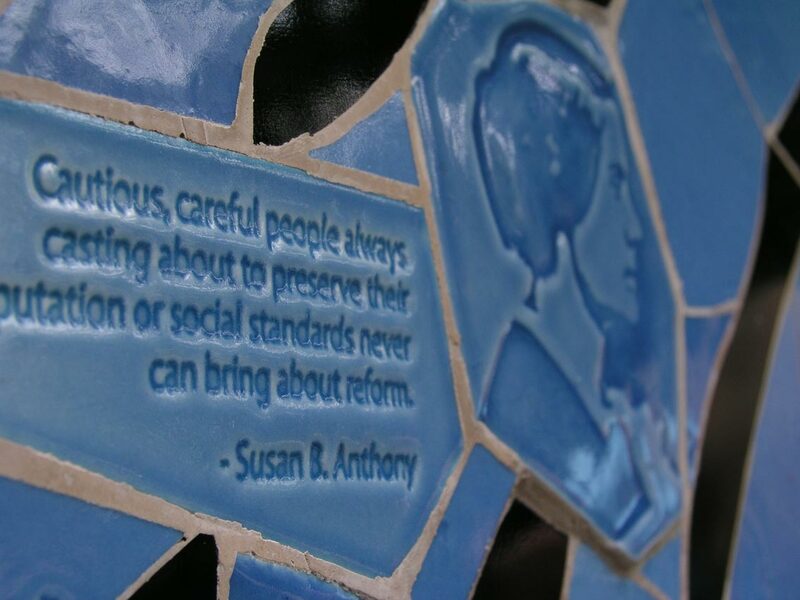 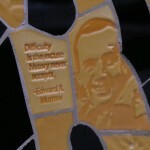 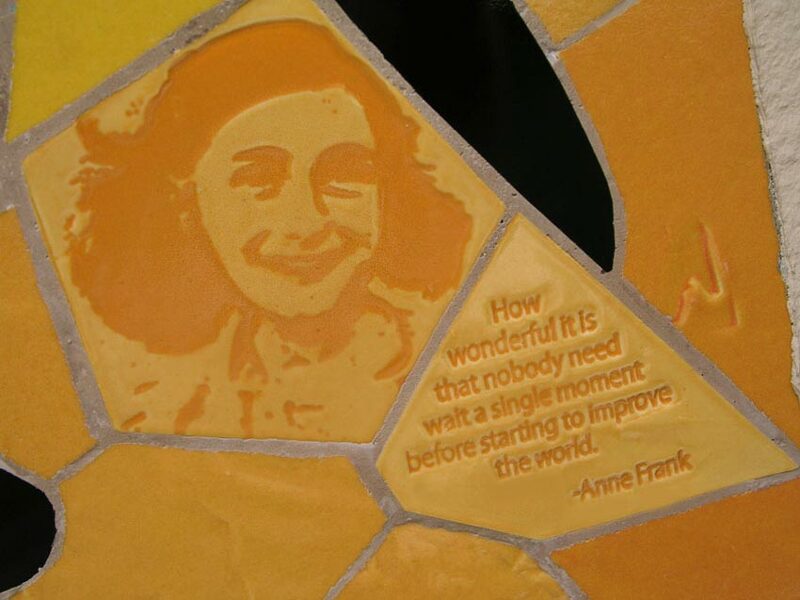 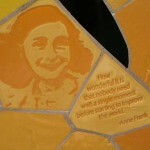 Each person has their image, an inspirational quote, and their name cast into the handmade porcelain tiles that the mosaic is fabricated from. 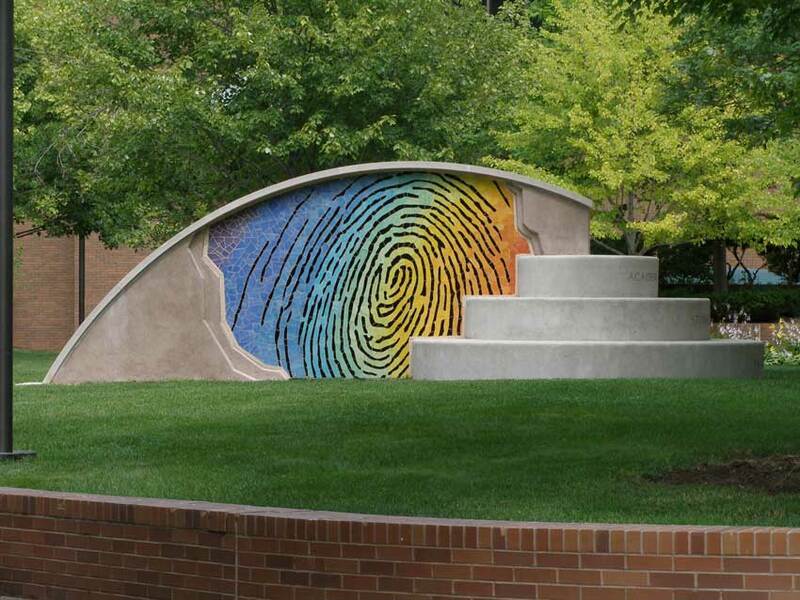 The three concentric circular concrete benches have the three pillars of the U. of M. Flint’s mission statement carved into their faces. 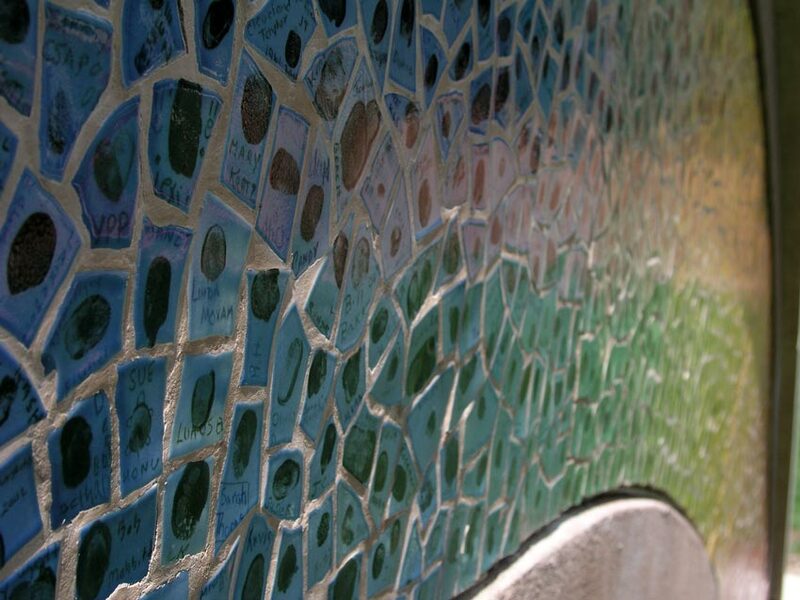 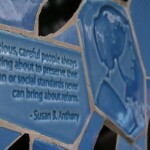 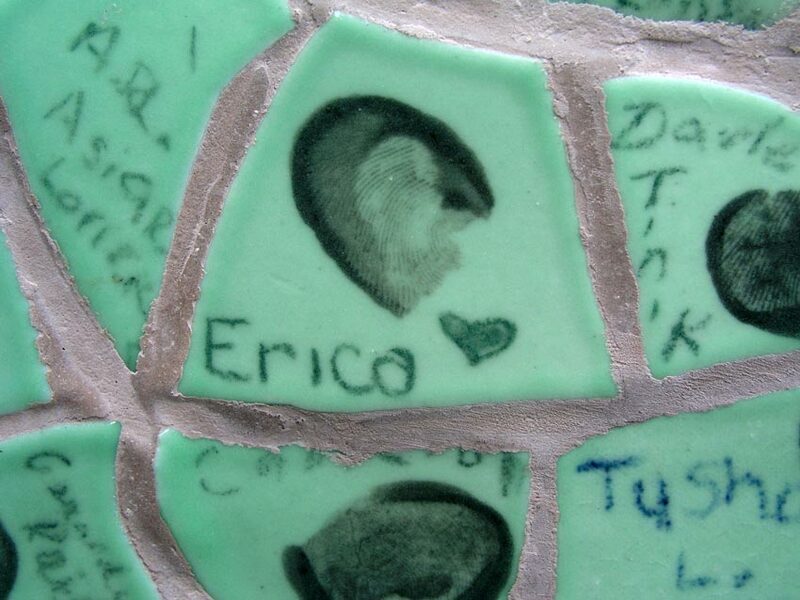 The opposite side of the wall has another mosaic, made of approximately 2000 one inch porcelain tiles with the actual fingerprints of local citizens, from children to community leaders.